Économisez $35.00 en choisissant cette option maintenant. 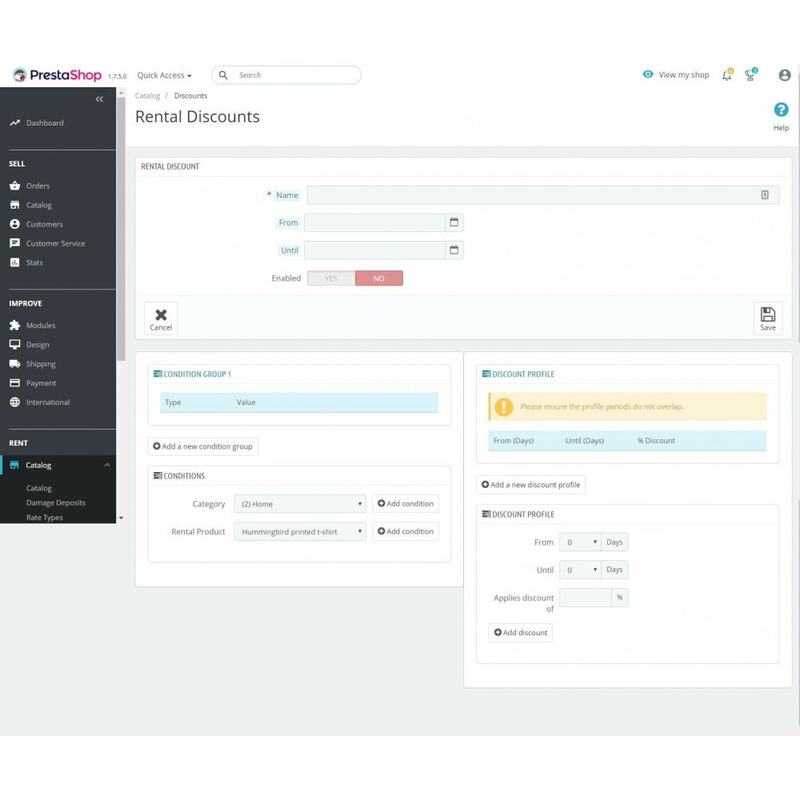 Rent selected products in your catalog. 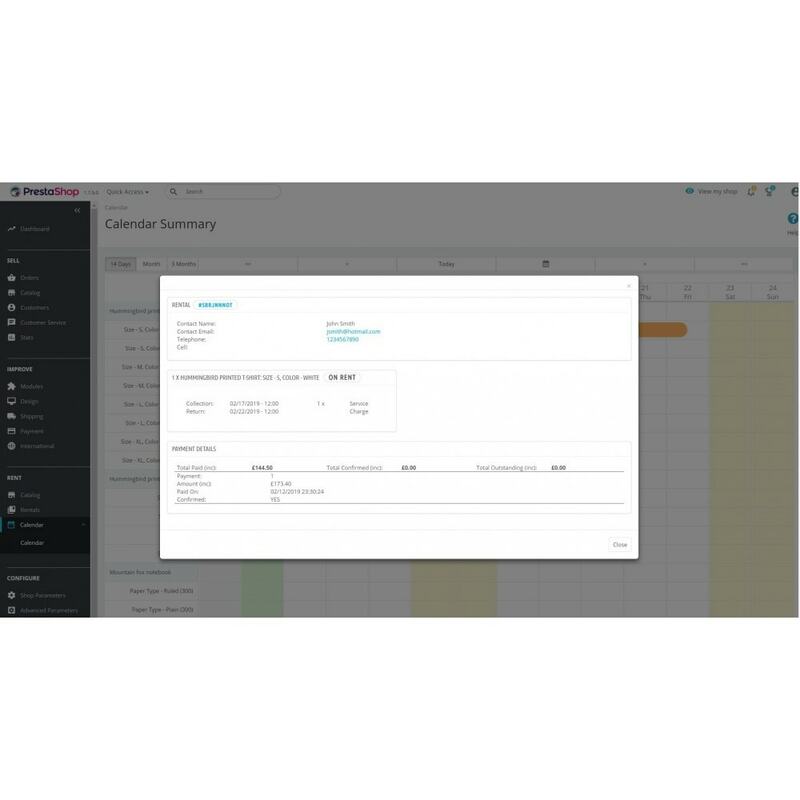 Track your rentals in the back office via the calendar, or rental admin screen. 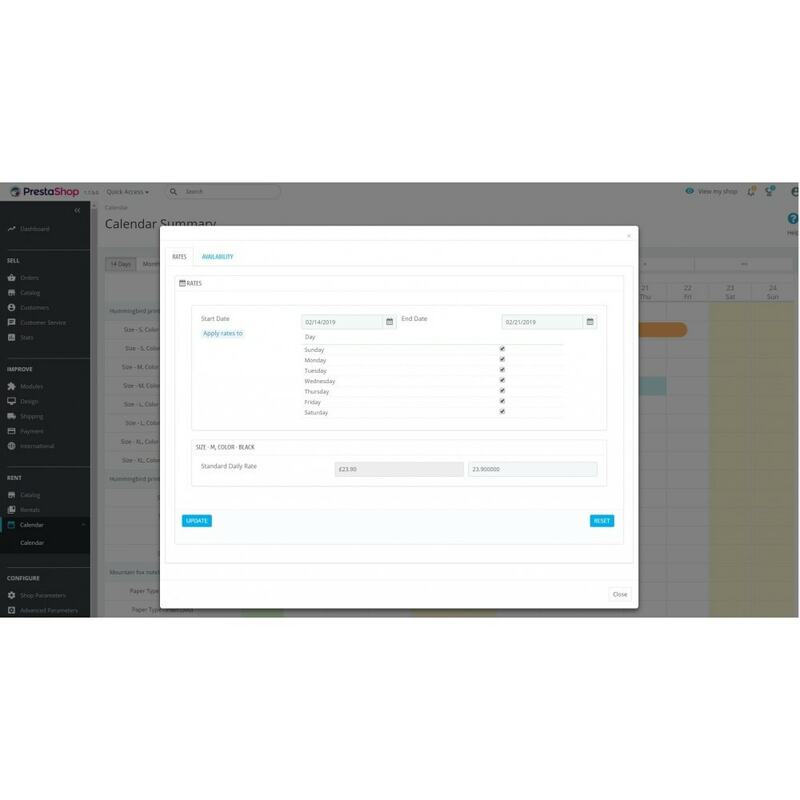 Add multiple products and multiple model combinations to your cart. Automatically create rental models from product combinations. 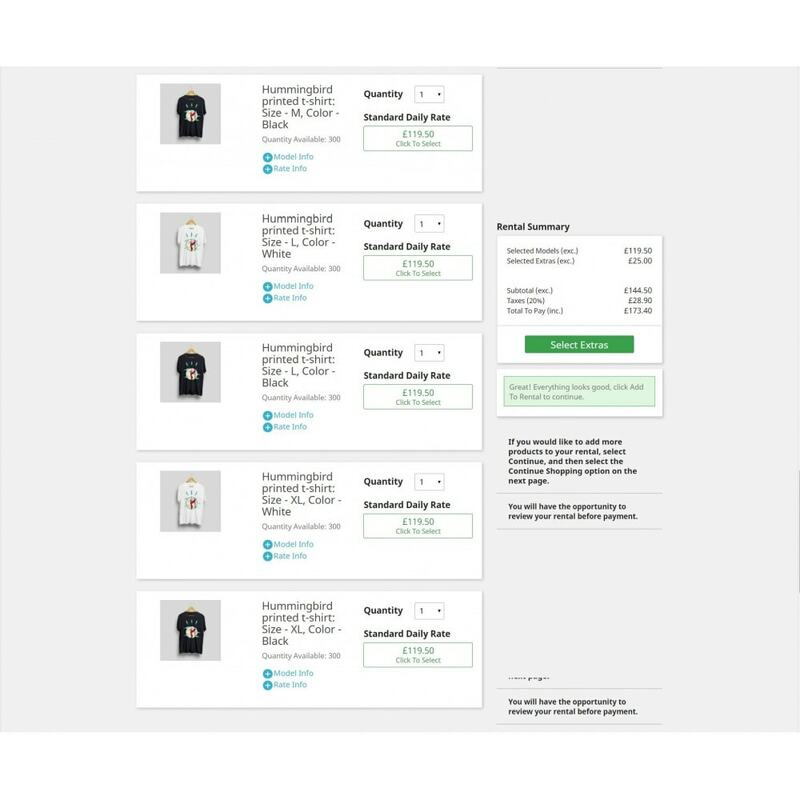 Use Prestashop stock levels and future rentals to determine availability. Rental calendar, return products to stock when they are received. 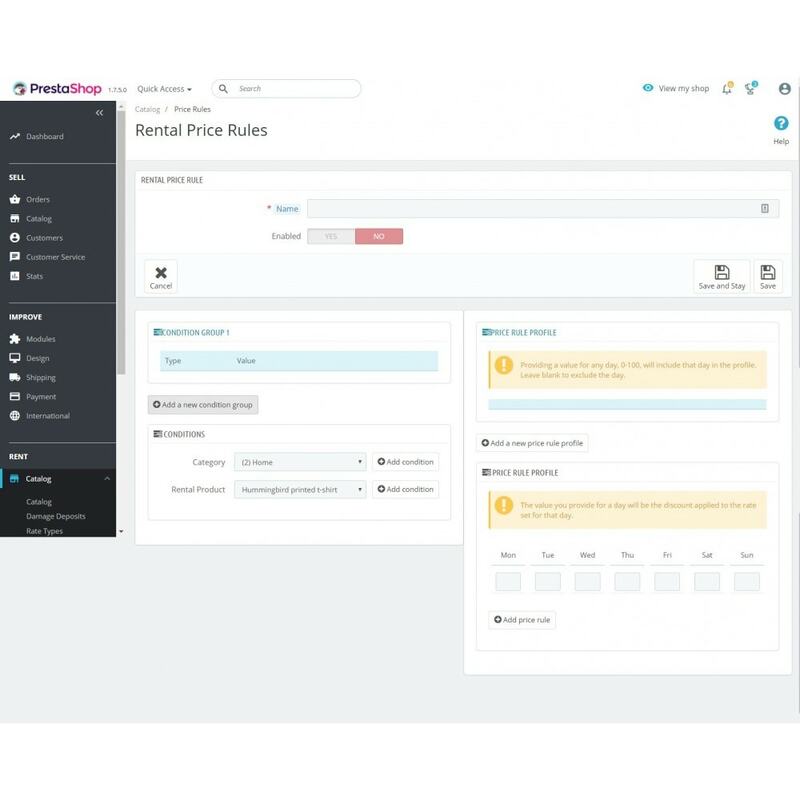 1-click setup, if your catalog is ready, you can start renting immediately. Rate system for finer control over your prices. Provide seasonal or different rates on selected days by setting the rate via the calendar. 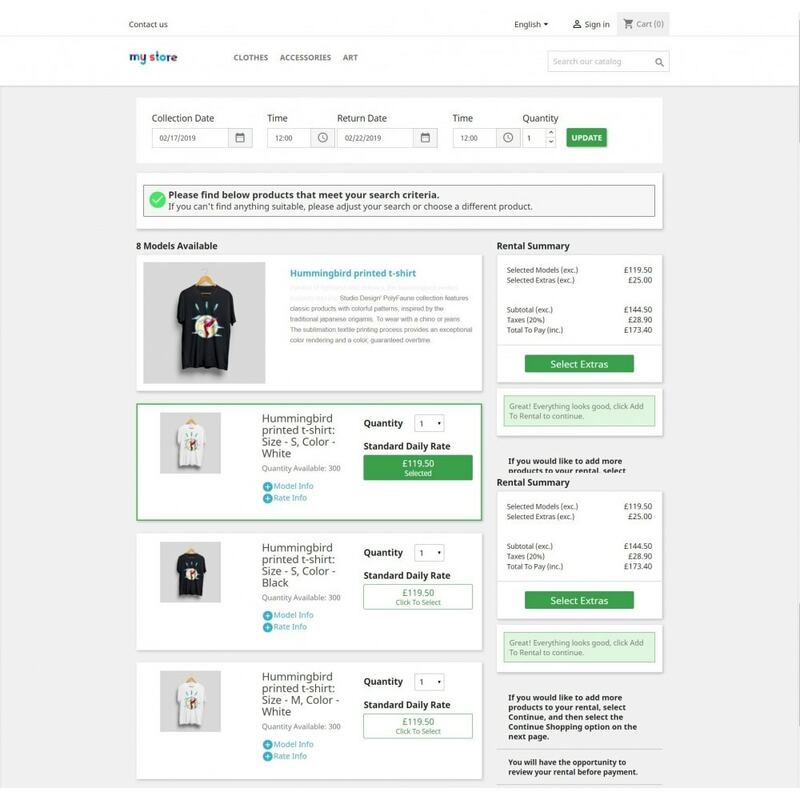 Extras system for items to sell along with your products. Support for advanced warehouse features. 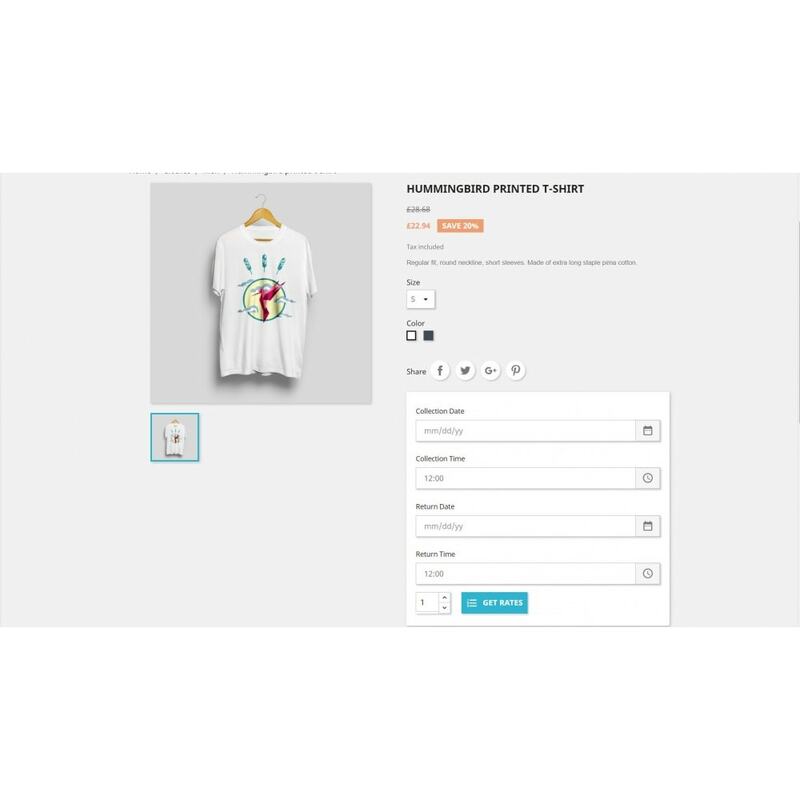 Allows guest checkouts, or require the customer to create an account. Checkout by taking a deposit calculated as per your requirements, and request subsequent payments from the rental admin screens. Require the customers to pay a damage deposit. Discount system to reduce rates based on rental length. 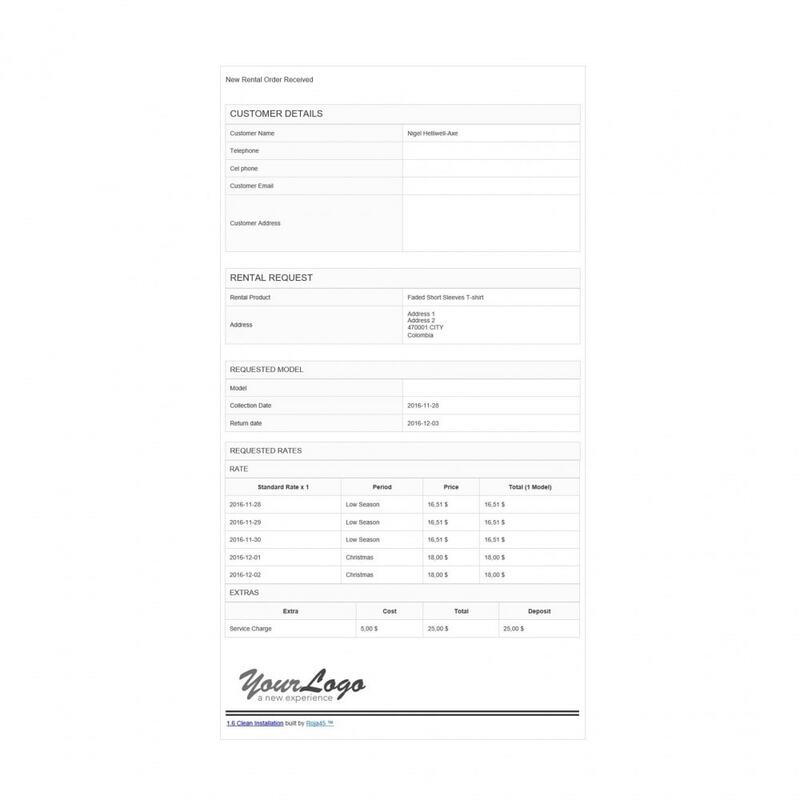 Voucher system to give you customers a rate discount, or free extras. 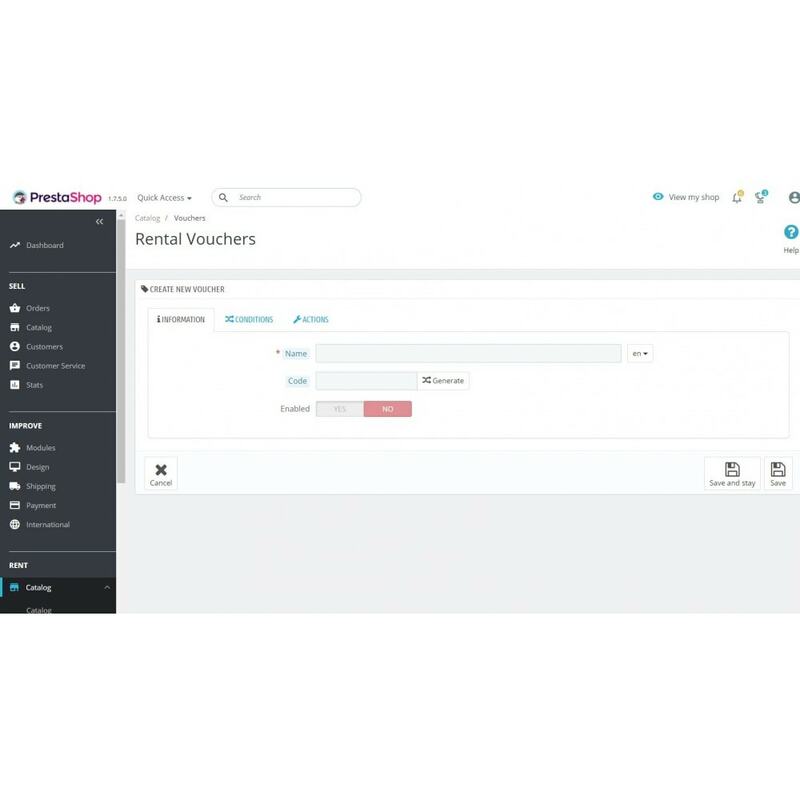 Configure working days, when rentals can be collected, and returned. 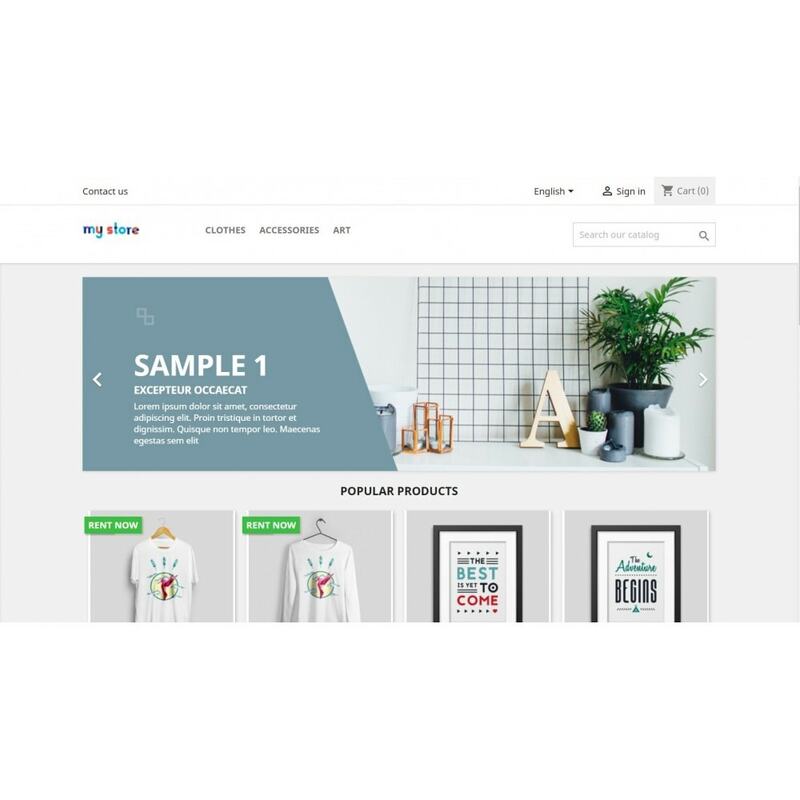 This module extends the standard Prestashop product to include options to let you to rent selected products in your store. 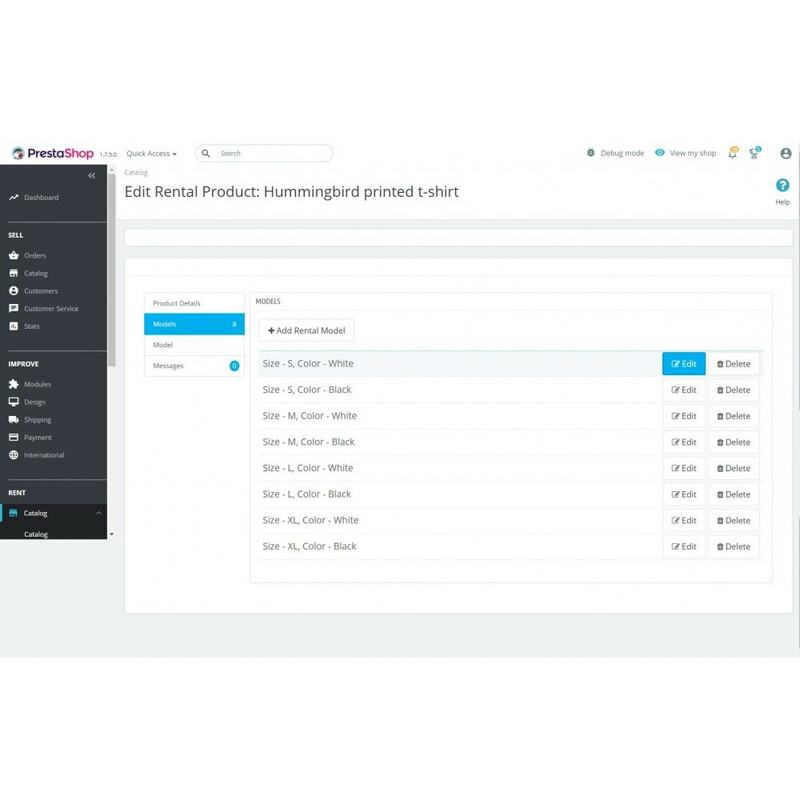 With one click your selected products will be enhanced with the necessary extensions to rent, track, and manage your rentable products. Products with combinations will be converted into multiple models, one model per combination, using it’s images and quantities. Products without a combination will have a single module created, inheriting that product’s images and quantities. A number of new screens will be provided to keep track of those rentals that are due to be returned, or overdue, and allow you to indicate when a rental model has been returned. Other screens will let you track your near term quantity requirements with a visual representation of rentals over the coming month. The system will create an initial rental rate based on the product, or combination, price, but you are free to create further rates based on your won requirements. 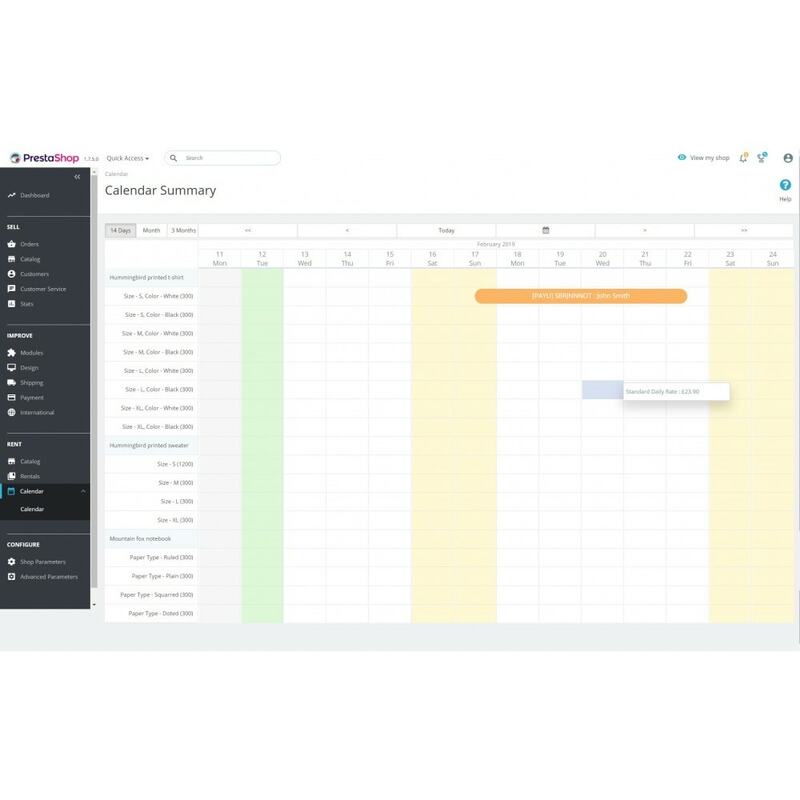 A special rate system lets you set the rate for a specific product/model for any day, or selection of days, via the calendar. 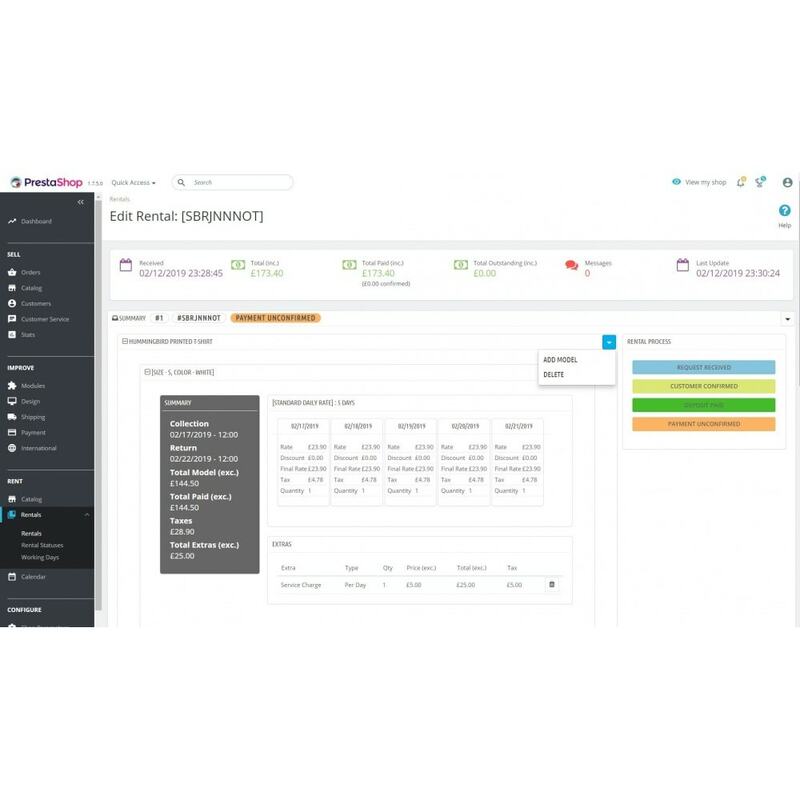 Easily configure weekend, bank holiday, or seasonal rates. An extras system allows you to create any number of additional items to be sold along with your principal product, extras can be sold on a daily or rental period basis. Models can be given additional information not present in Prestashop by default, contact details, addresses, and position location, all which will be presented to the customer on a successful payment. 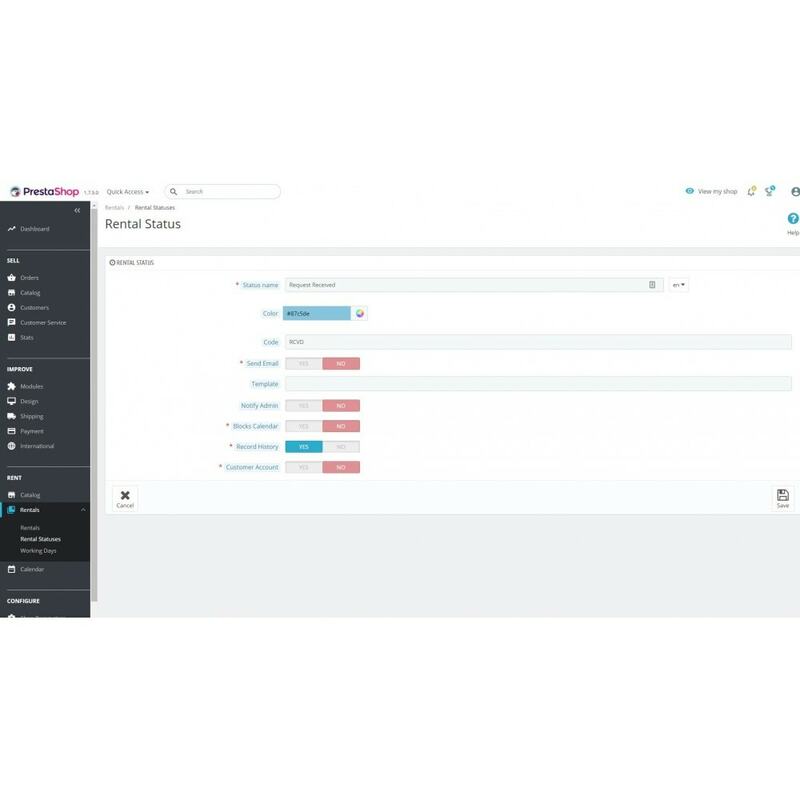 After proving dates from the standard product screen, customers will be presented with a new availability screen where they will be able to select the models they require and the number of each model. 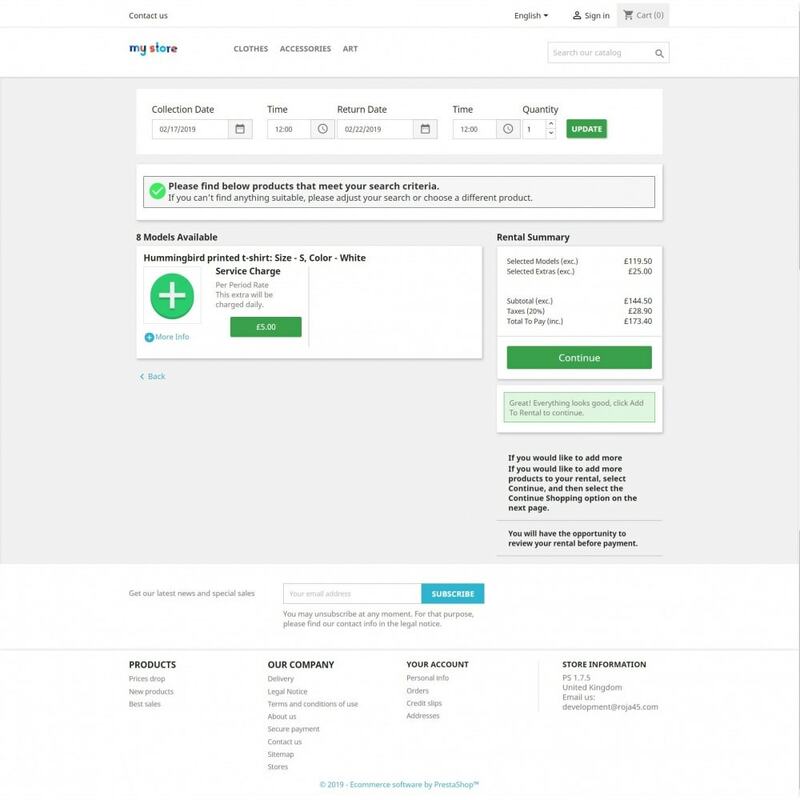 Prices, including any seasonal rates and taxes, will be calculated onscreen and shown to the customer, before they select to complete their reservation. The module is designed for the default theme. 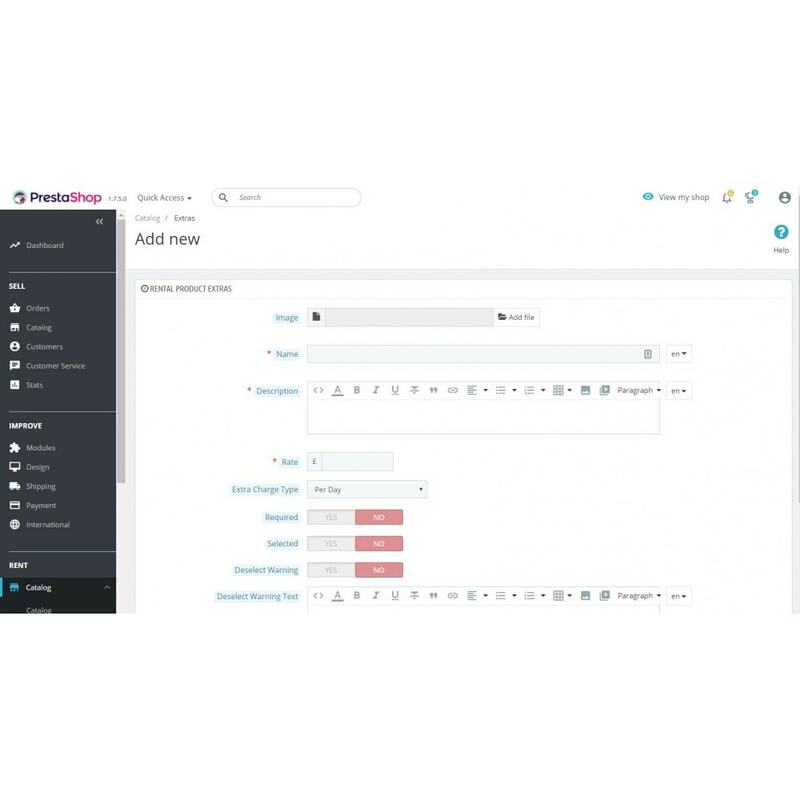 Third-party themes can provide their own management systems to locate the quotation module components, and can affect the layout and style. When installing in a third-party theme additional changes may be necessary to improve the visual style. Technical changes to ensure the module works as expected are included in the support package. Third-party theme changes to component locations, or to change the styling, are included in the ZEN support package. Please get in touch before purchasing if you are unsure whether this will be necessary, or if you are unsure how to make these changes. Have an idea for a feature, get in touch to see if it can be included! 1-click install. 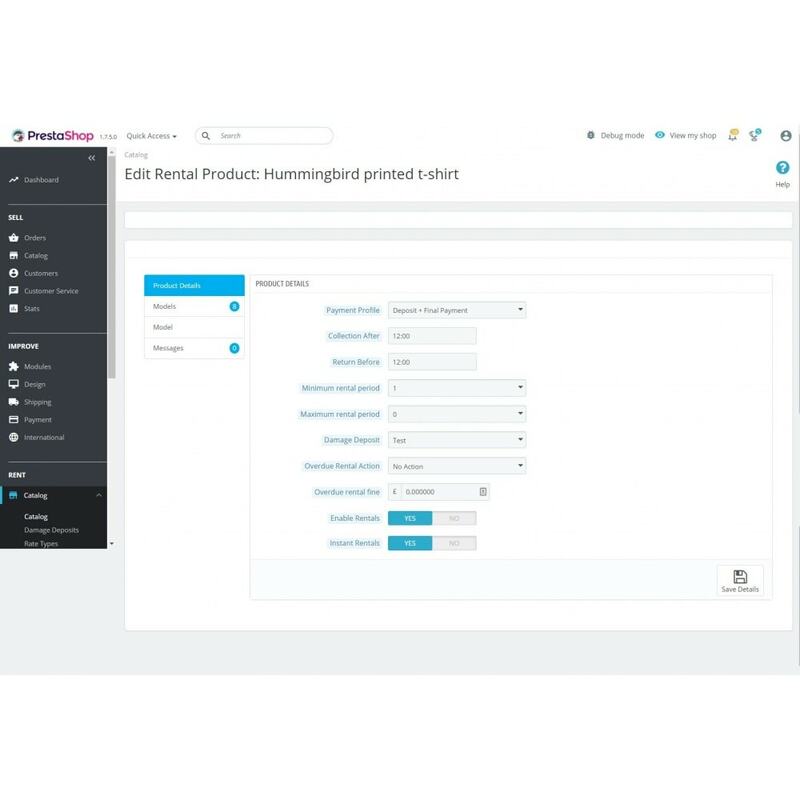 The module will create product entries for each selected product, and create models from the product combinations automatically. Set max value for touchspin affected number fields. Fix model not being set in new installation for products without combinations. Prevent quantity being updated beyond total availability in availability screen update search bar. Don't display collection/return time info bar when disabled.